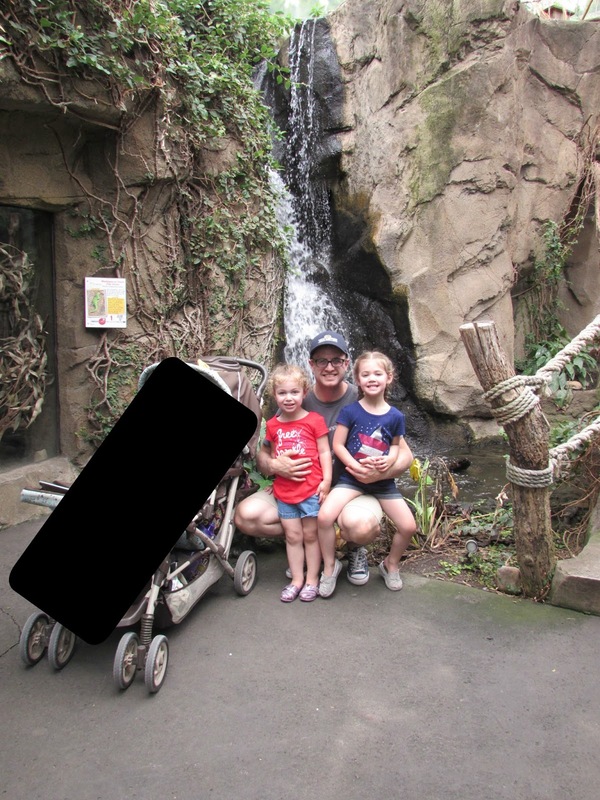 My husband had to work out of town earlier this week, so we decided to go with him just for Memorial Day and head to the zoo, since we don't get to go often! Our state's zoo really isn't all that big, but it is actually just the right size for toddler/preschool age! There are a lot of not super interesting animals (like prairie dogs? In a zoo?? ), but there are also a lion, tiger, seals, giraffes, monkeys and more. It is nice because it's never all that crowded, even on the most crowded days, so you can get right up to the exhibit and get a close look! Which is nice when you are trying to point out the tiger hiding in the bushes to a toddler ;) (That's always a fun game. No look over that way...no over there...see where I'm pointing? Back by that tree...no, the other tree.....nevermind.) 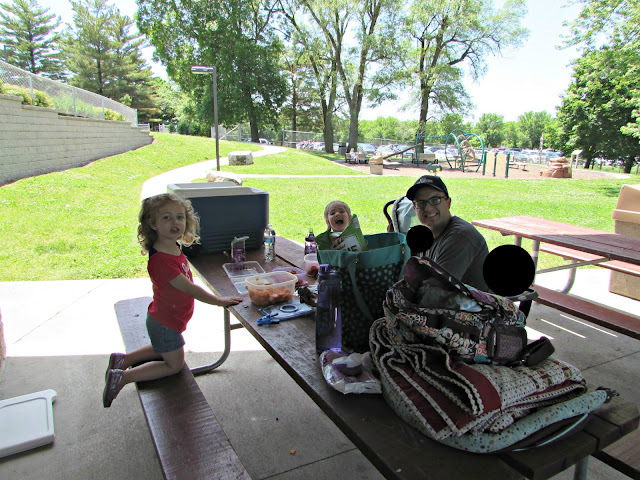 We left mid morning and it's about a 2 hour drive so we got there just before lunch and decided just to have a picnic before we went in so we didn't have to worry about taking the cooler and food in. There was a perfect little playground and picnic area. First things first, I wanted to see if they had those mist fans in the gift shop because it was SO hot out! I had no idea it was going to be that hot. I wore black LulaRoe leggings, which are really thick and I regretted it all day! My younger daughter doesn't handle the heat well (like her Mama), so I figured fans would be good. No mist fans, but they had these little fan necklaces that you crank yourself and the girls thought they were the best thing ever. 2, please! Onto the monkeys, then the African area. The giant turtles were *ahem* mating, so there was a lot of spectating going on by mostly male adults who thought it was hilarious. Lots of giggling and picture taking by pretty much every guest walking by while all the kids were completely oblivious (luckily) and playing on the drums and things. The zoo had this big Curious George exhibit set up. We thought we'd go to the storytime and meet and greet, but there was lots of other cool stuff when we got there. It was in this huge tent kind of thing which we thought would be nice but since there was no air flow it was way hotter than outside, even though it was shaded. So we stayed and played for a little while but left before the story time. The seals are always a favorite. They are usually very animated and show off for the kiddos. We found a fun area where the elephant sprayed mist all over. It felt SOOO good and the kids wanted to do it about 20 times before moving on. The girls were looking forward to the "wobbly bridge" all day, and were excited when we finally got to do it at the end of the day! After the zoo, we cooled down in the AC at the Cheesecake Factory, which is always a great time. Love making memories with my favorite people!